For versions 16.0 SP 11 and later, a PDF icon displays on the right side of the user interface. Click the PDF icon to open the manual in PDF format. 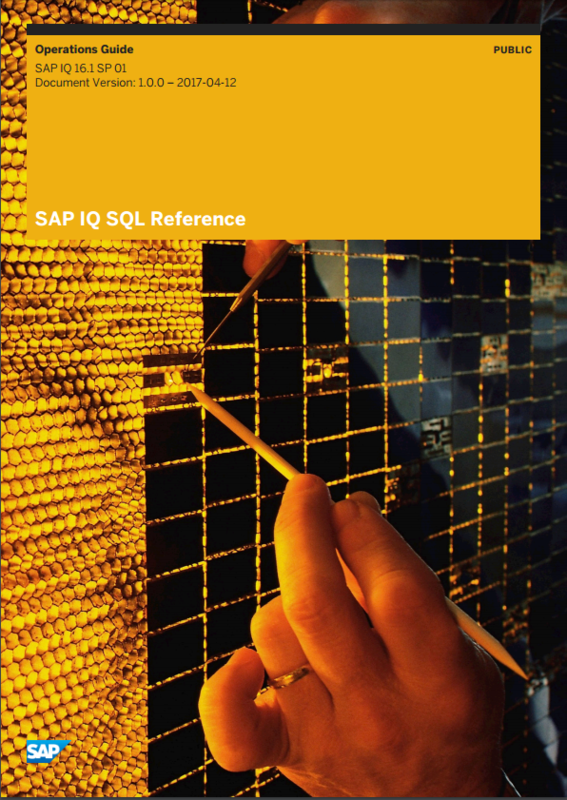 Let’s assume you want to download a PDF version of the SAP IQ SQL Reference manual. Click the link to open the manual in HTML format. For a given release, you can download all manuals in PDF format. A downloadable zip archive contains PDFs for all manuals for the release. 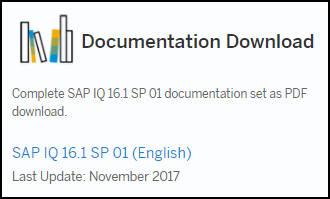 For versions 16.0 SP 11 and later, a Documentation Download section displays at the lower right-hand corner of the SAP IQ product page. Click the link. The zip file downloads to your machine. Downloading may take some time, depending on your connection speed. Navigate to your download location and extract the archive.